The following is a list of special events hosted for and by the Cancer Center throughout the year. 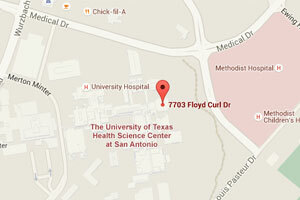 For information on all UT Health San Antonio special events, please visit the our Events Calendar. The skin cancer screening is free and open to the public. Appointments begin at 5:30 pm. Visit the Free Cancer Screening website for more information. With your support, Vulcan Materials Company has raised over $1,500,000, supporting the Cancer Center’s mission to conquer cancer through research, prevention and treatment. Visit the Vulcan Funshoot website for more information. With your support, Vulcan Materials Company continues its efforts to support the mission of the Cancer Center, in conquering cancer through research, prevention and treatment. Visit the Vulcan Golf FUNdraiser website for more information. More than $3.4 million has been raised to benefit the Cancer Center Phase I Clinical Research Program over the twenty plus-year history of this fundraiser. Each year, six prominent authors are invited to entertain the luncheon audience with captivating and witty tales from their best-selling books. Visit the Book & Author Luncheon website for more information.